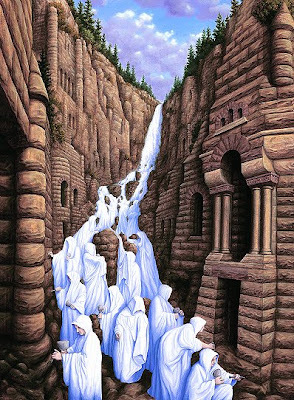 This artist blown my mind with his works.Extremely imressive retouch technique, amazing effect of visual illusions, and perfect pictures.These images made me look at them and try to understand them, because as you can see there is more than a simple image.Take a look, is just pure art. 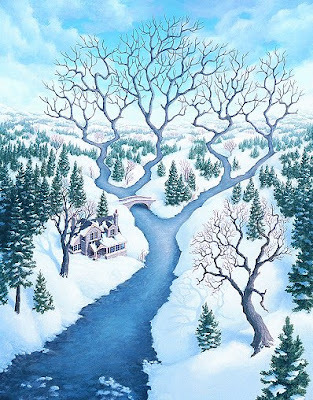 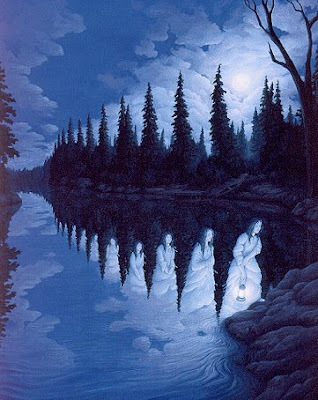 Rob Gonsalves is a Canadian painter of magic realism.He was born in Toronto, Ontario in 1959.He won the 2006 Governor General's Award in the Childrean's Literature - Illustration category for Imagine a Day.For more amazing images go here. 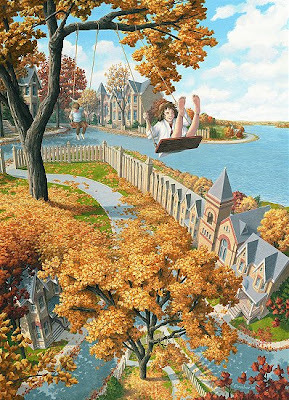 Reminds me of M.C. 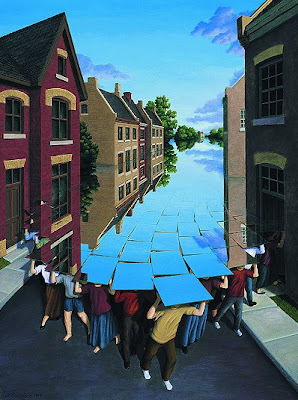 Escher works... wonderful!